most demanding environments. They are engineered to efficiently create a wall of air across door openings. Its IP55 rated motor can withstand water from high pressure cleaning without impairing performance. Engineered to keep noise levels to a minimum. All stainless steel casing is suitable for extremely corrosive environments. Prevents unwanted flying insects and contaminants, such as dust and dirt particles, from entering the building. 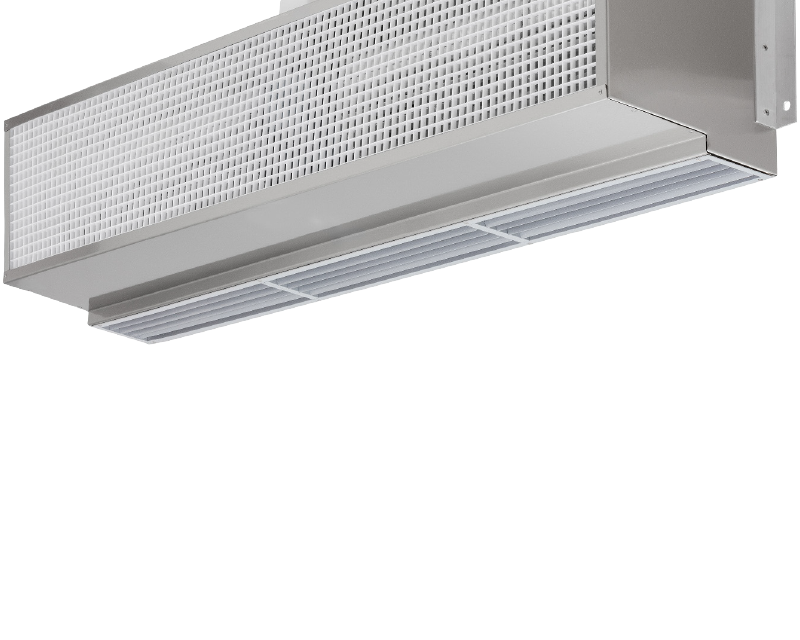 Available in 980mm, 1280mm and 1580mm sizes. 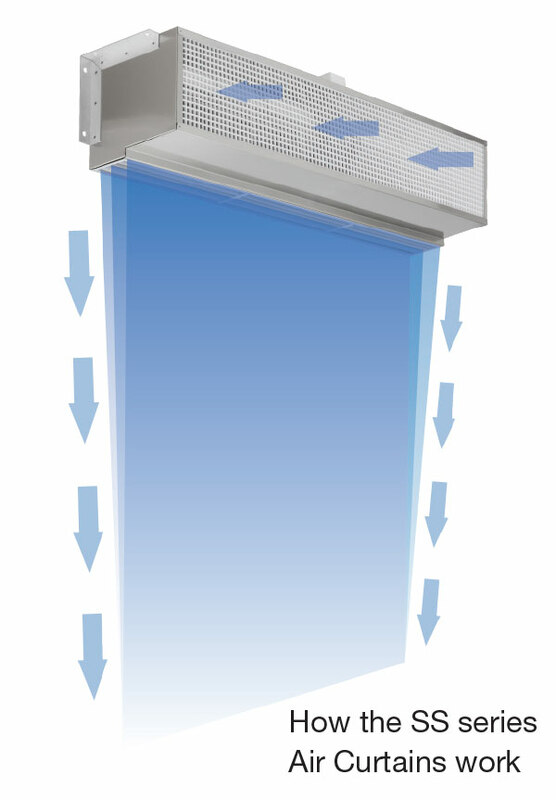 an Air Curtain is that it must provide a minimum of 8.0 meters per second air velocity measured 900mm above floor level. 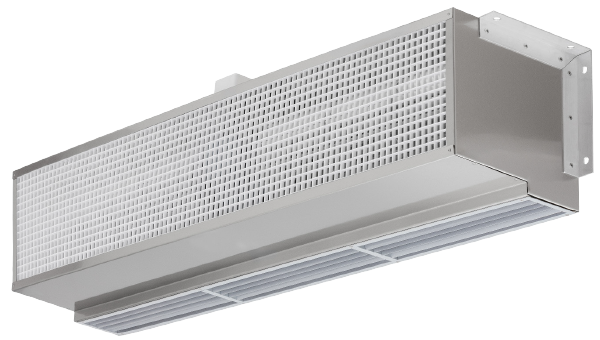 Contact our office for more information about AQIS compliant Air Curtains and models we have to offer.